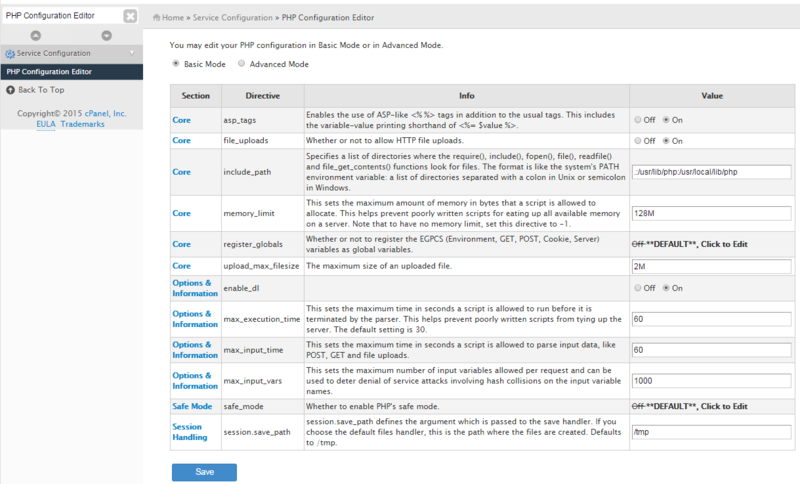 How to adjust PHP settings/limits? 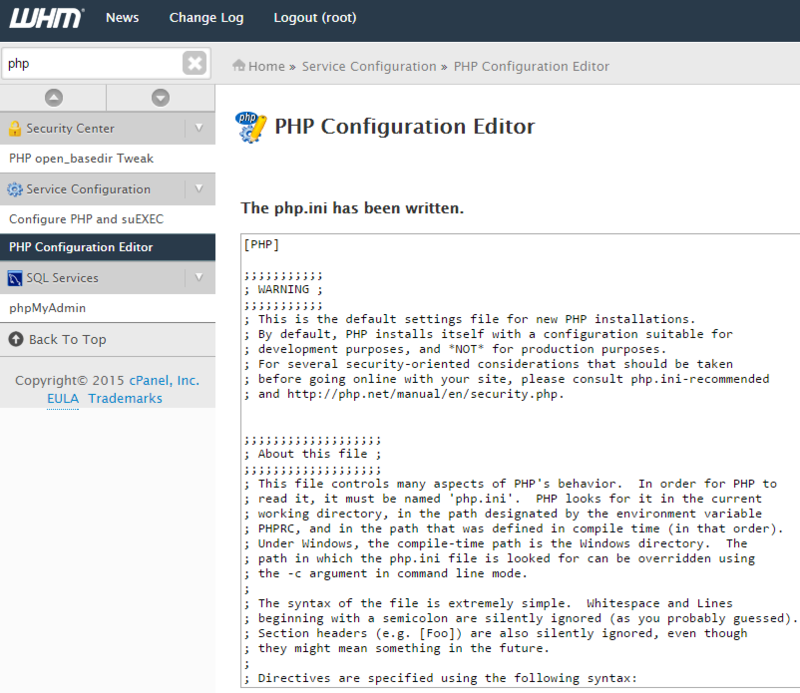 You can edit the general server PHP configuration in two possible ways. NOTE: If you have a fully managed VPS/Dedicated server, please contact our technicians for assistance with the configuration change. Basic Mode allows editing only commonly changed parameters, so if you want to change some specific settings, switch to Advanced Mode instead. 2. Alternatively, you can edit the php.ini file directly via SSH as a root user (only for self-managed VPS/Dedicated servers).